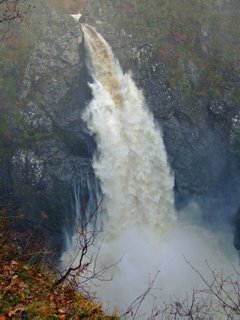 There has been a great deal of rain in the Loch Ness area for the past week or so, so we went on a trip a few days ago to see the Falls Of Foyers, just down the road from Pottery House. We have never seen so much water coming over the falls, it was quite spectacular. The amount of spray coming from the falls made it like a heavy rain storm, even though at the time it was dry. 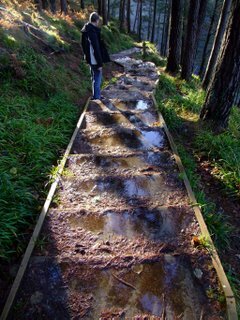 Even the path down to the falls was like a river.